US$112.5-million settlement concerning fraudulent data is a casualty of a culture that prizes impact over robustness, says Arturo Casadevall. 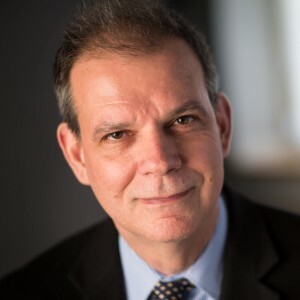 Arturo Casadevall is chair of molecular microbiology and immunology at Johns Hopkins University in Baltimore, Maryland. Last week, Duke University announced it would pay the US government US$112.5 million to settle claims that fraudulent data were used in dozens of research-grant applications. This is a communal punishment for an institution where the overwhelming majority of scientists are honest, hard-working individuals seeking knowledge for the good of humanity. The lesson is that scientific misconduct can carry severe institutional costs. (And scientific ones: more than a dozen papers connected to this case have been retracted.) Duke, in Durham, North Carolina, has promised to improve its practices and administration, including setting up an advisory panel on research integrity and excellence. These steps are laudable. But I worry that the seeds of misconduct, although they grow in only a very few individuals, are planted in the very heart of academic biomedical sciences. The Duke experience is unlikely to be replicated exactly elsewhere. Channelling Leo Tolstoy, every instance of research misconduct is unhappy in its own way. Still, one thing is common: researchers’ careers depend more on publishing results with ‘impact’ than on publishing results that are correct. Pursuit of academic success generally means targeting particular journals, citations accrued and, occasionally, media attention. Although impactful science is often important, impact does not always track importance. Applied science tailored to local, practical problems such as mango wastage in India is unlikely to net an elite journal paper. Gregor Mendel’s pioneering genetic studies were ignored for decades. Conversely, some studies that had a big impact at first were later shown to be fraudulent, or just wrong. The problem is that impact has become a means to an end. Ethics training and severe punishments don’t change incentives to cherry-pick results — or worse. Misconduct will be difficult to eradicate without cultural changes to shift rewards and increase safeguards. When did the culture of impact begin? I trained in the late 1970s and early 1980s, when biomedicine was transitioning from a firm grounding in biochemistry to dominance by molecular biology and genetics. The new experimental approaches quickly got attention: finding a mutation associated with a disease would make headlines in stories that often promised cures. The careful enzymatic dissection of a metabolic pathway was important, but did less to capture the imagination. Those years also saw major fraud scandals involving cancer, biochemical and cardiology research, all widely covered in the media, and following what is now a too-common plot: each individual wanted impact by whatever means available. Looking back, I remember the profusion of brightly coloured journal covers that made a stir in my graduate-student days, signalling a dangerous transition to flashy science. That journals began to look better did nothing for the reliability of the science within. Although most scientists continued to do careful and rigorous research, the zeitgeist changed as science moved towards and into the new century. Dizzying discoveries were predicted as new technologies and genetically modified organisms produced some dazzling therapies (such as recombinant insulin for diabetes and monoclonal antibodies to treat diseases such as cancer and arthritis). In our hubris, we assumed that definitive insights into how organisms work would be captured by the reductionism of mechanistic approaches such as breaking cellular functions down to individual genes. Meanwhile, the number of journals mushroomed; an infusion of government money meant that trained scientists outnumbered academic positions; and the use of metrics for evaluations boomed. Next came another flurry of widely publicized misconduct cases, an epidemic of retracted articles and high-profile concerns about reproducibility. The biomedical sciences of the twenty-first century had a credibility crisis. We should not be too gloomy: innovative responses to make publications more reliable are gaining traction. These include checklists, routine image checking and broader access to methods and data. But that has not dislodged the pathological focus on impact. We must change the culture of biomedical science to one that rewards greater rigour. Judging rigour is a lot harder than judging impact, so review and promotion committees must take a different approach in evaluations. Microbiologist Ferric Fang and I have proposed one method, based on the five pillars of logic, experimental redundancy, error recognition, intellectual honesty and quantitative analysis using probability and statistics (A. Casadevall and F. C. Fang mBio 7, e01902-16, 2016). Used in combination, these should produce more robust and resilient scientific results. Practically everyone in the system now, including me, is part of the impact culture, so changing it will be hard. Generating high-impact work is easier than doing important rigorous research, especially if it can be exaggerated, wrong or fraudulent. And low-impact but highly rigorous research should never be devalued, because it might be important in the future. After all, the mundane business of isolating organisms from hot springs and dissecting bacterial defences against viruses catalysed two revolutionary innovations: the use of PCR technology to copy DNA, and the CRISPR–Cas system to edit genes. A culture of greater rigour alone will not eliminate misconduct. However, rigorous science is more difficult to falsify because the five pillars are self-supporting: mischief in one arena can be checked and exposed by others. All research institutions, not just Duke, must build on these. Why are Canada’s scientists getting political? How will you judge me if not by impact factor?